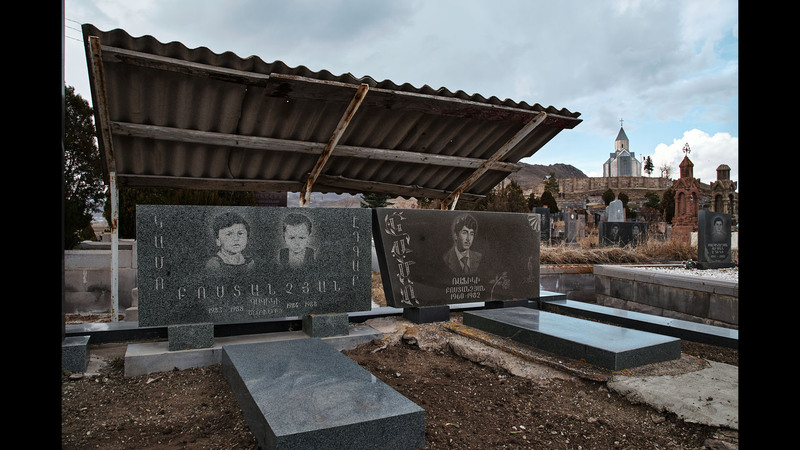 For centuries, the traditional Georgian graveyards were simple and modest, while in Soviet times the graves became overly decorated, adorned with marble tables and benches, statues, bikes and even cars. 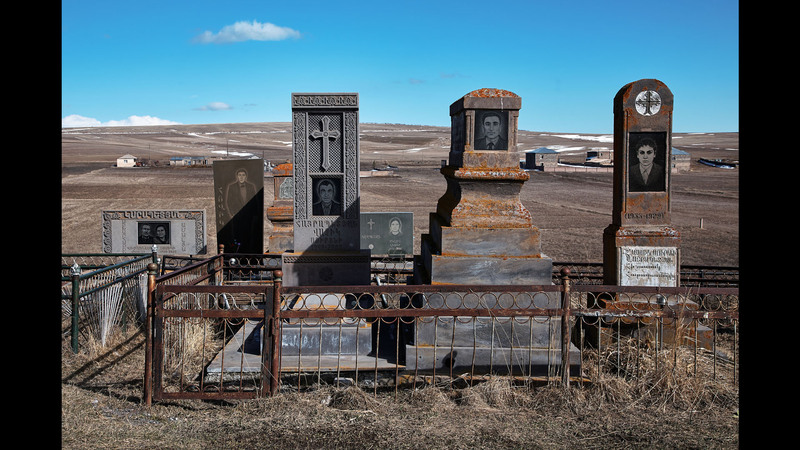 The Soviet Georgians were confident in one thing only the grave belonged to them, therefore they were zealously taken care of and protected. People built and decorated them as if they were real estate property. 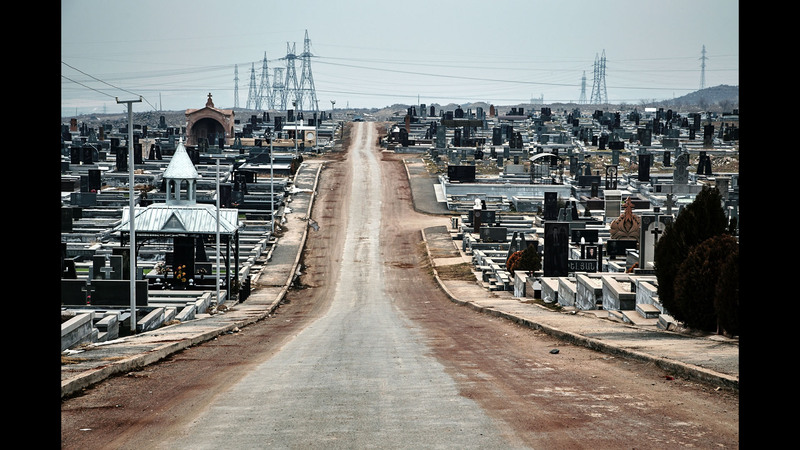 The authorities turned a blind eye to the graveyard eccentricities. 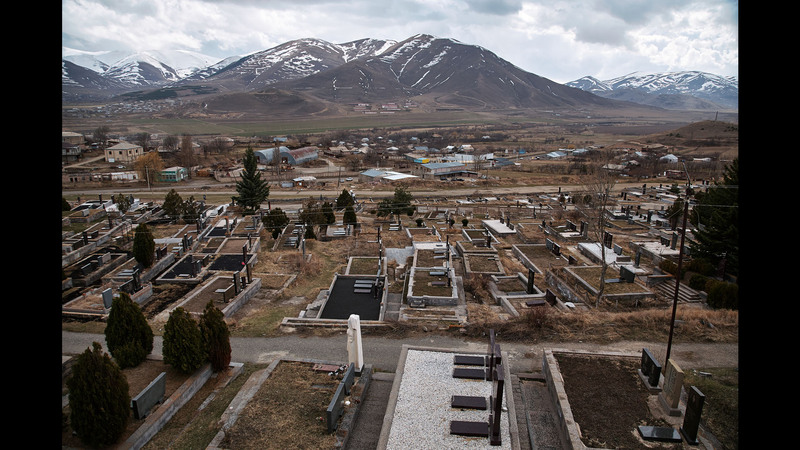 Soviet regime principles had not extended to the Georgian graveyards. 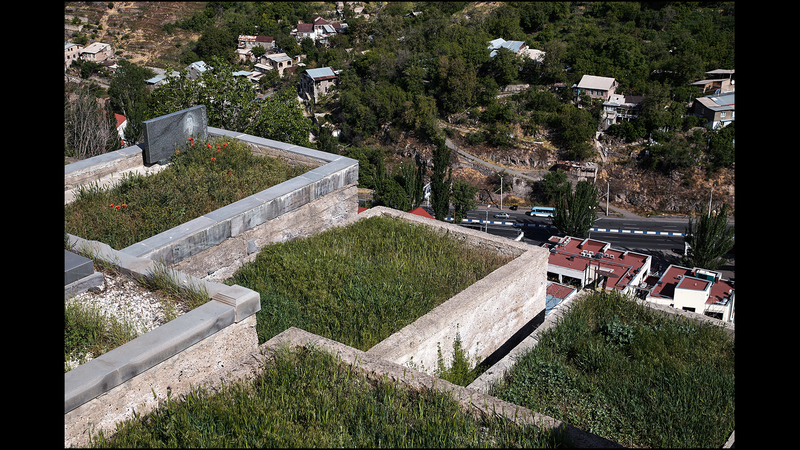 The cultural landscape of Armenia was largely shaped by the naturally mountainous rocky habitat and the system of beliefs that originated therein, according to which any somewhat separately standing or by one characteristics or another differing cliff, rock or cluster of rocks was ascribed with creative power and eternity. Acres of open air halls of cave paintings, long rows of Menhirs (standing stones), dragon stones, phallic pillars, Urartian carved pillars and boundary stones of king Artaxias (Artashes) brought together nature and culture, juxtaposing natural forms with artificial volume and sculpture, and viewing from a distance with up-close observation. 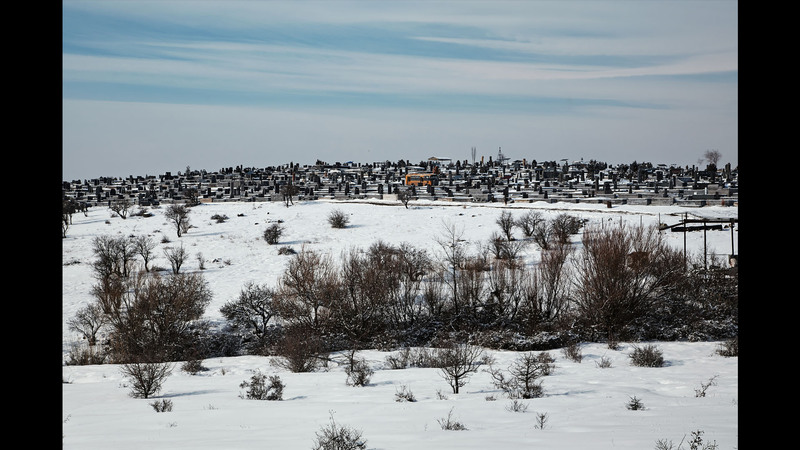 It is for this “monument” component that the landscape is recognisable and indigenous from a distance, and in immediate vicinity tangible and worshipped. The tradition of “appropriating” space though monuments and pillars was used also by Christianity. 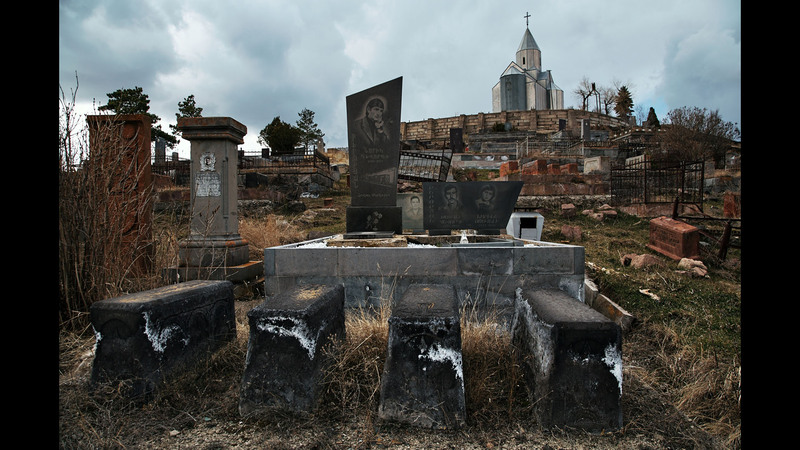 The “Christianisation” of space was accomplished by mounting cross stones in the squares of settlements, on the crossroads, on the tops of hills and in ancient sanctuaries. 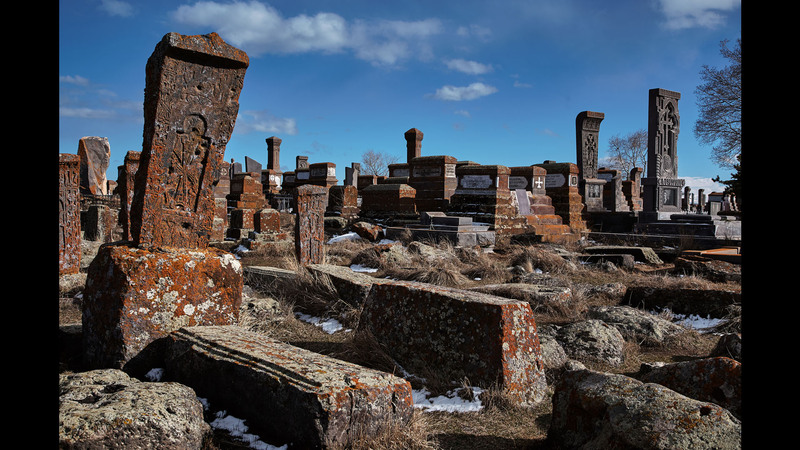 Carved pillars became the most intimate and affordable way for the believers to communicate with God, to “immortalise” the memory, to hope for the salvation of the soul. 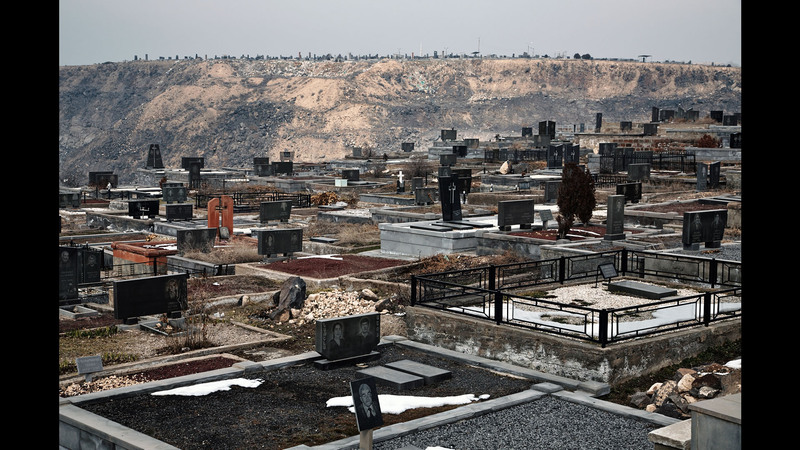 Most of the up than hundred thousand cross stones that were preserved up to this day were placed over graves, all of them in west-east direction (Second Coming of Jesus). 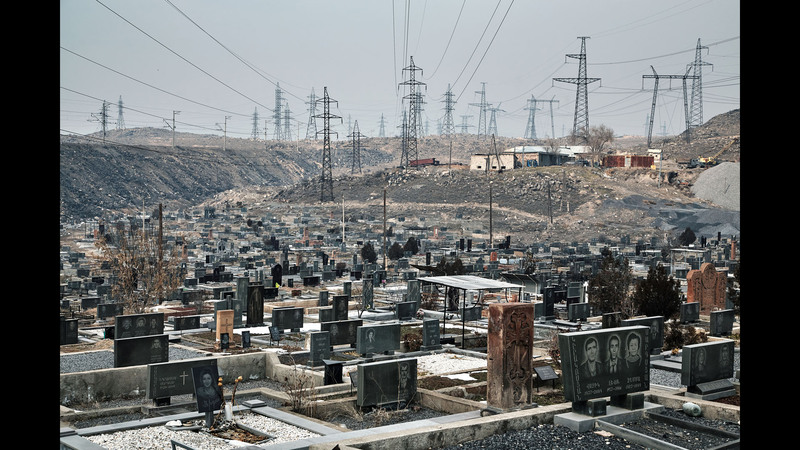 Medieval cemeteries were placed on the upper side of settlements, becoming the dominant of their landscape. 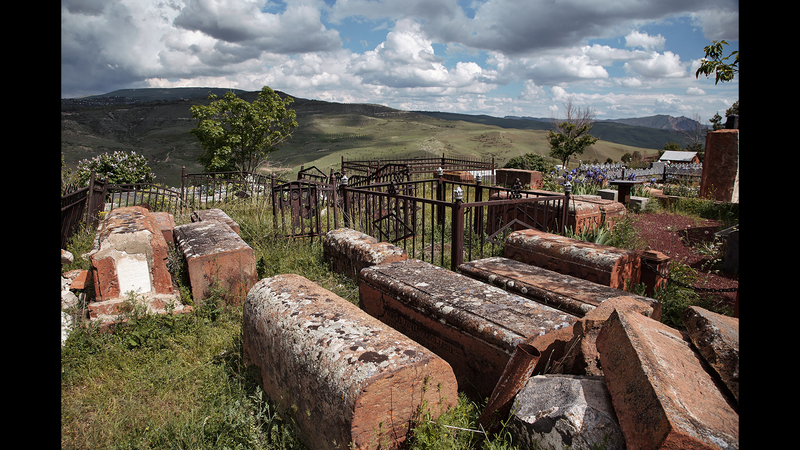 The cemetery consisted of a church located on the highest ground and family graveyards reflecting the approximate structure of the settlement itself. 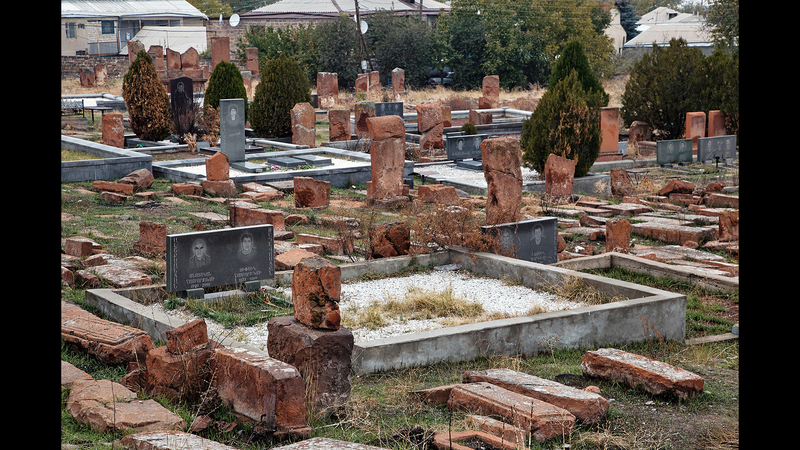 Ascribing cross stones with the “power” to help all believers was conditioned by the goal to make the graveyard a worship place for any believer. 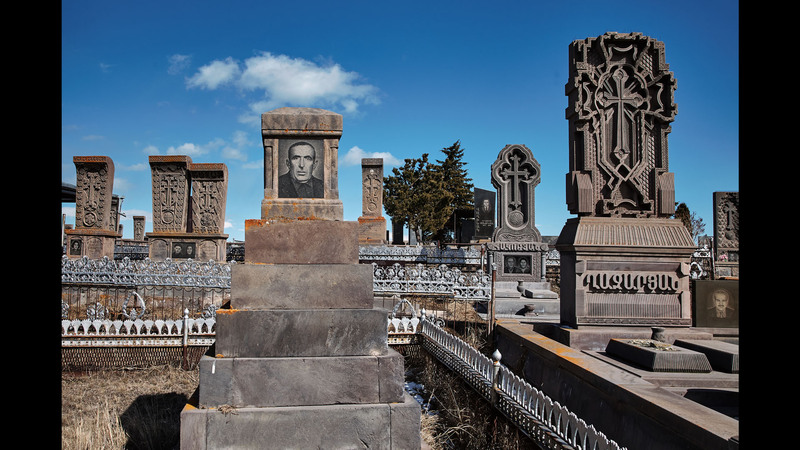 The medieval Armenian community perceived itself as a society consisting of living as well as the dead, which ensured the care and safety of this cultural landscape. 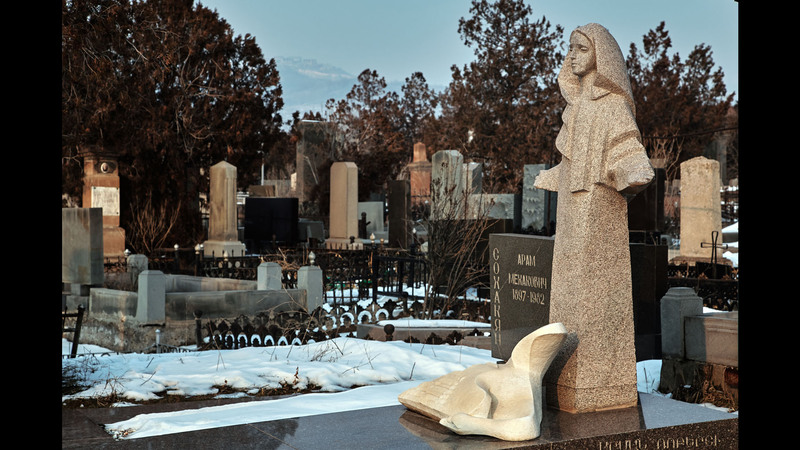 The main narrative behind the sculptured reliefs of cross stones and headstones was not grief but rather the heavenly delight awaiting the deceased. 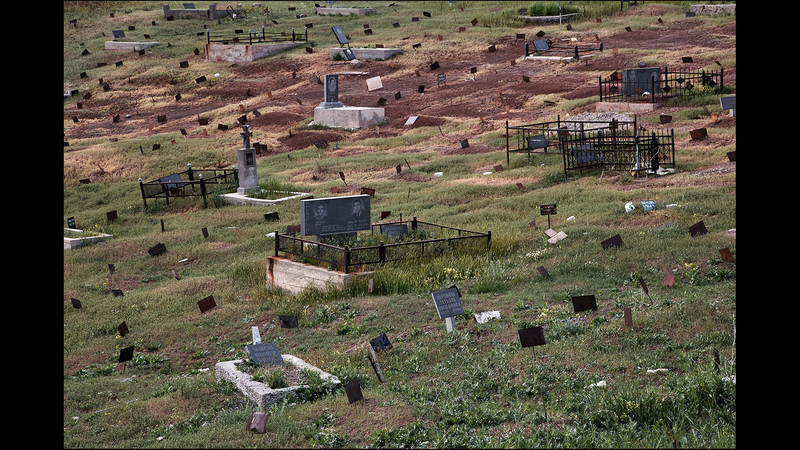 Armenian cemeteries of this particular structure and “optimistic” imagery were sustained until the 20th century. 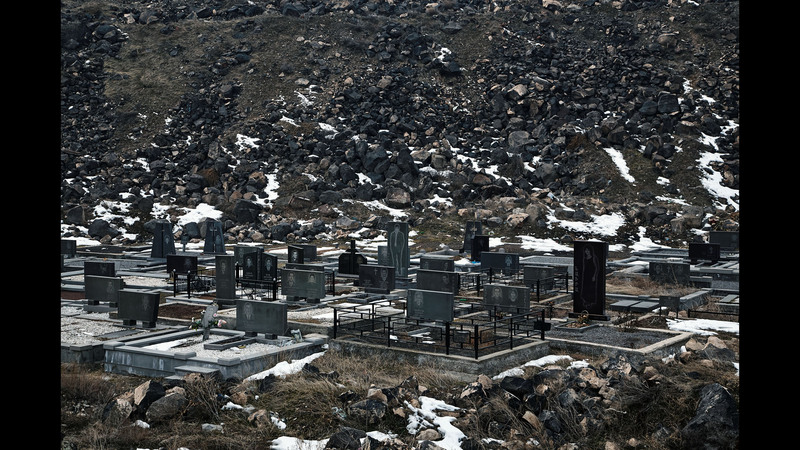 The militant Soviet ideology turned many of this old cemeteries into arable lands and construction material. 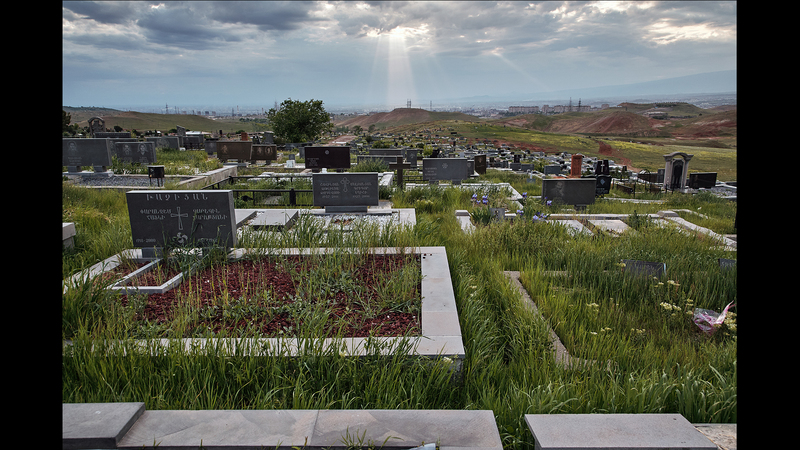 The new graves were more adjusted to the terrain, the road, the direction of the funeral procession was no longer significant. The imagery became more schematic- a star, hammer and sickle, portraits. 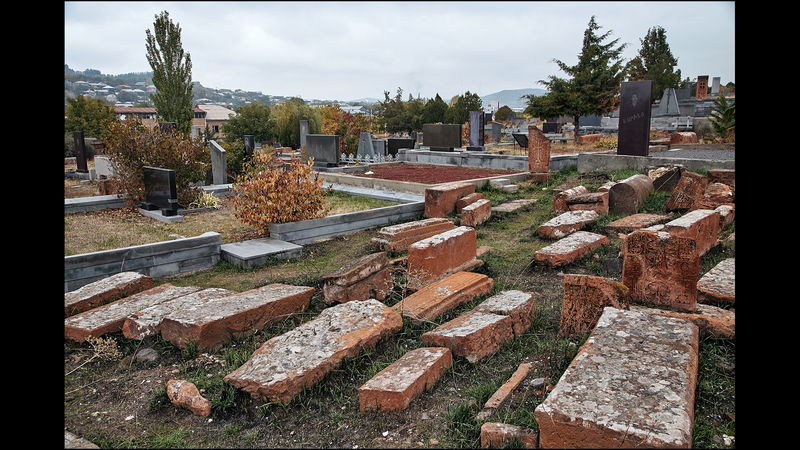 Only in the 60s, parallel to the national awakening, works aimed at the preservation of medieval cemeteries were initiated by the local government: some of the most significant cemeteries were partly reconstructed and fenced. A new wave of cross stone making started. 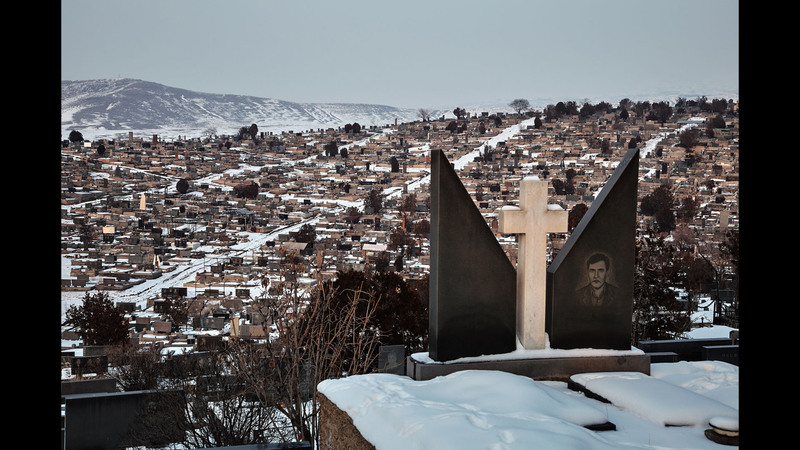 At the same time the period of Khrushchev “thaw” created conditions in which cemeteries were reflecting the social status and prestige of the living. 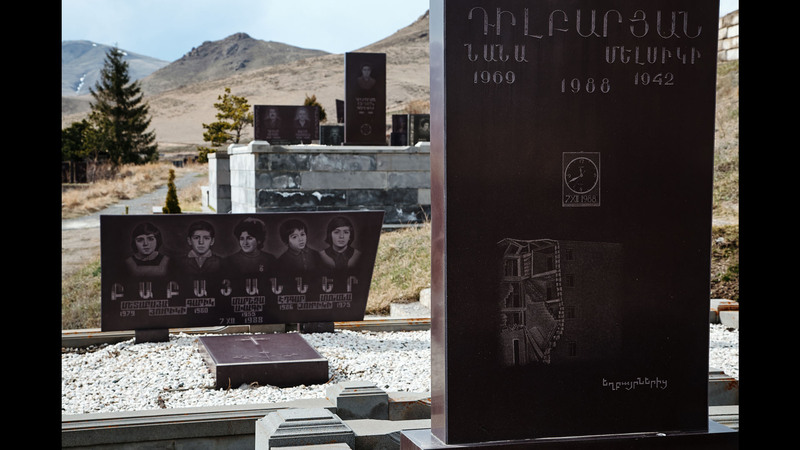 For example, in some of the villages of Gegharkunik region, where seasonal works outside the country are widely spread and the men spend only a few months back home, cemeteries became sanctuaries of a kind, that are mostly sumptuous constructions, sometimes even mausoleums. 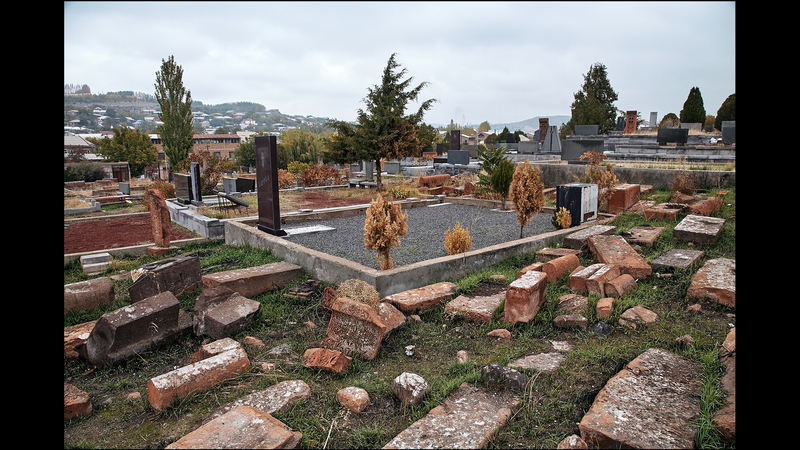 In terms of cemetery landscape graveyards of the earthquake zone are also quite remarkable since they mostly emerged in emergency situations. 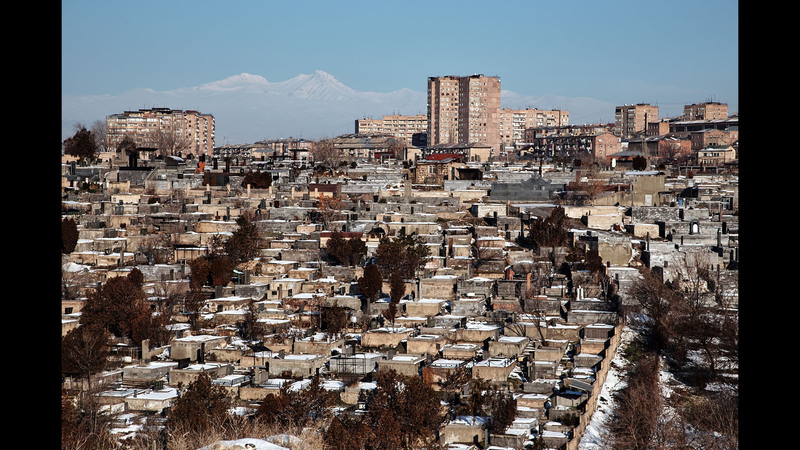 These cemeteries can be characterised by direct planning, equal allocation of space, specific imagery- collapsing buildings, people trapped in ruins, mourning people. 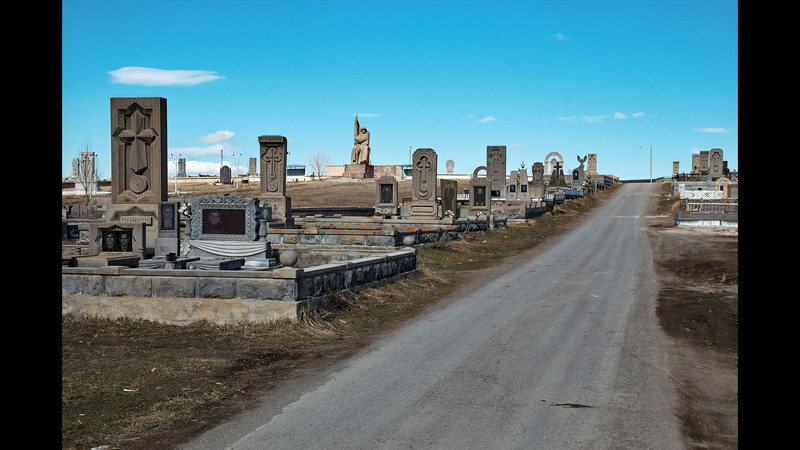 As a result of such factors as the predominance of the prestige component, “imagery of grief and mourning” and the absence of the narrative of salvation and solace altogether contemporary graveyards became highly personified and socially insignificant. They now turned into a platform to reaffirm the social status and prestige of those alive and a specific arena of competition. 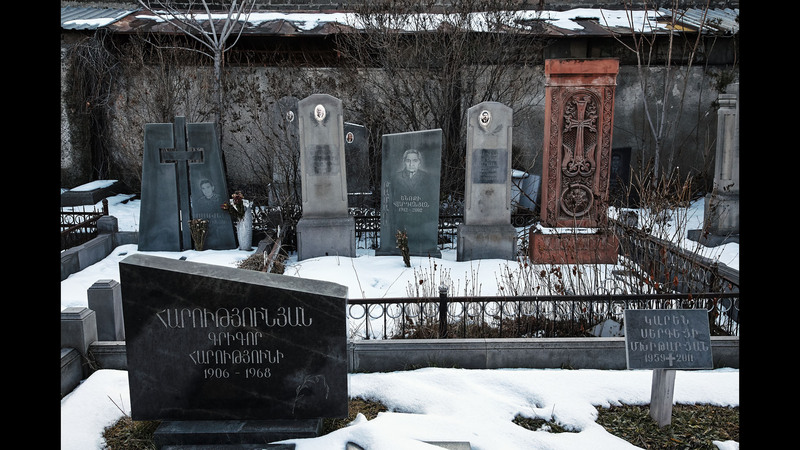 Virtually, the contemporary cemetery, aside from the few still remaining parts in the old tradition (which disappear very quickly), are the most extravagant and lacking any conceptual solution component of contemporary Armenian urban landscape.